The hardest thing, was to start walking again after the food poisoning. The easiest thing, once we were on the way, was to keep on going. 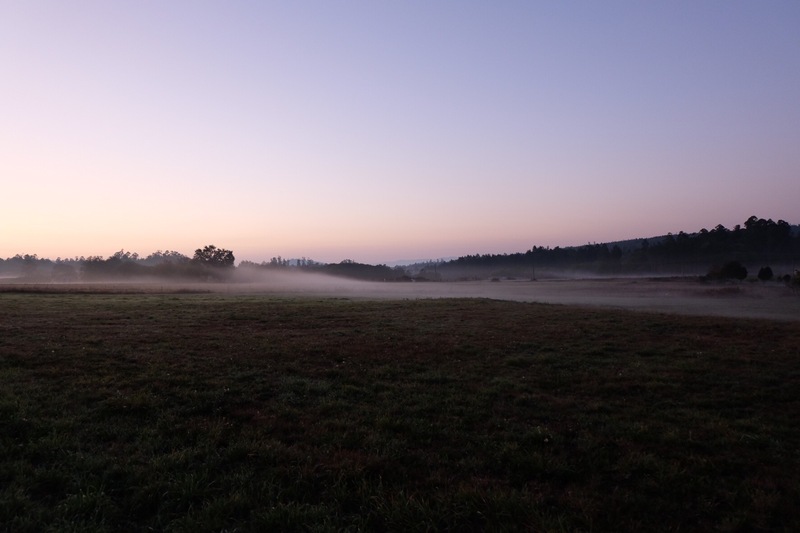 Today will be memorable for finishing of course, but also for the experience of walking with hundreds of others, as the sun revealed the morning mist, and then later the last slog into town, which seemed to go on and on; everyone quiet, everyone pensive the entire way. 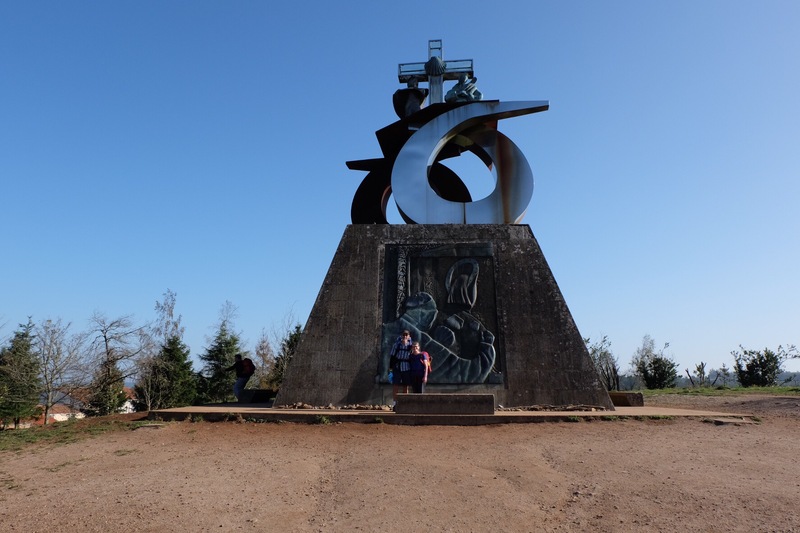 Monte del Gozo – nearly there, but again not quite. It was as simple as putting one foot in front of the other, and as difficult. Thank-you for all the encouragement and support along the way. Perhaps, later, I’ll add another post, answering some of the questions as to why. For now, we’re soaking it all in. What an amazing journey you have completed – a pilgrimage indeed. I have so enjoyed waking each day to see what you had achieved the day before. Congratulations and enjoy your accomplishments. It’s a big achievement to celebrate and treasure forever. You have captured the journey through your beautiful pictures and words that will always remind you of those special moments that you generously shared with us along the way. I will miss the posts. Thank you so much and enjoy Santiago. well ,well; well done, and thanks for taking us with you on every step, just one foot in front of the other, it was a great gift! Congratulations! Well done. And thanks for bringing us along. A great accomplishment, for you both, and it’s been wonderful seeing your daily diary entries and being able to share those superb photos — they made it all so close and personal, so we shared your joys, difficulties and the occasional down times. Watch out for the huge swinging thurible in the cathedral. Enjoy some unwinding now, and a few tapas as you begin to relax. Congratulations. What an achievement. I have enjoyed following your trip. Well it’s done. 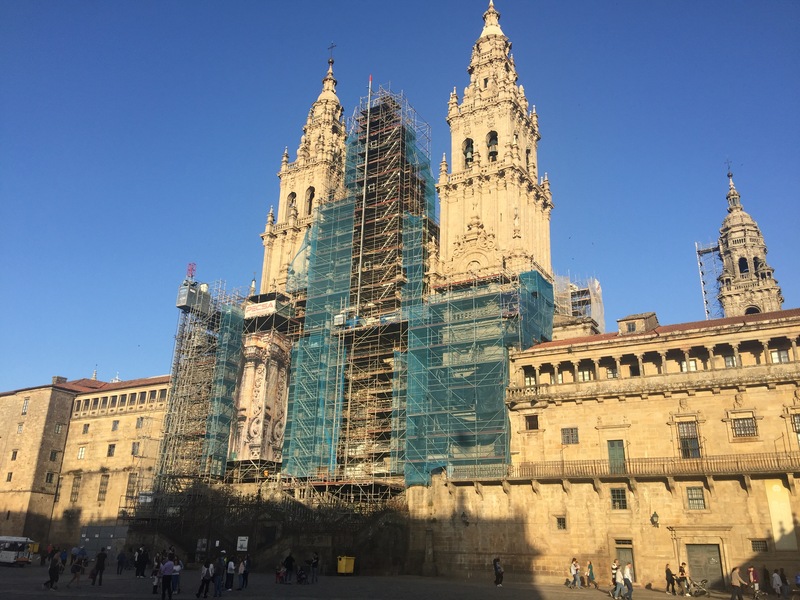 To walk the Way of ancient pilgrims, well 800 odd kilometres of it, and arrive here at Santiago is accomplished. Now we’ll have to stop following the yellow arrows and way marks! Massive congrats to you both. Its a SUPER GREAT achievement to be celebrated, and cherished. Thank you for posting every day Jill. 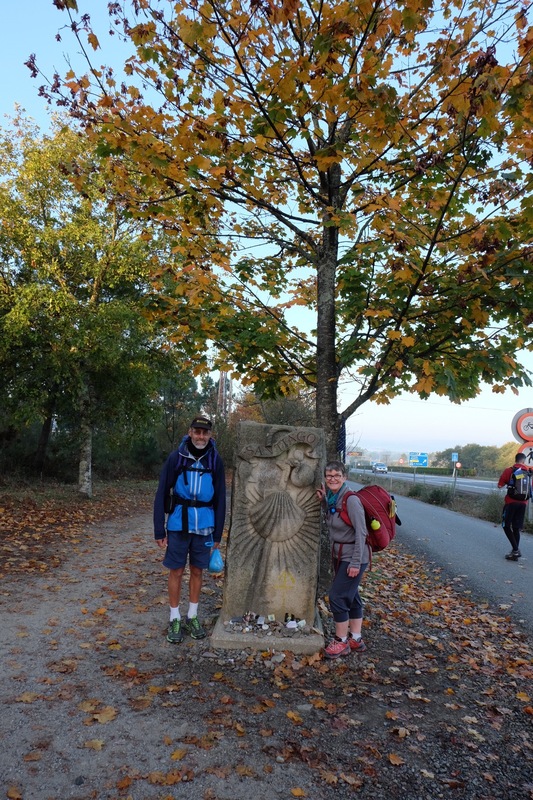 Has made me relive the Camino journey once again. It takes energy and commitment to post days end, so Clink Clink !